Lock in a great price for New superior apartment Sincic – rated 9.9 by recent guests! New superior apartment Sincic offers accommodations in Poreč, a 20-minute walk from Poreč Main Square. Featuring sea views, this apartment also provides guests with free WiFi. This air-conditioned apartment comes with a kitchen, a seating area, and a satellite flat-screen TV. The apartment also has washing machine and a bathroom with a shower. The apartment has a playground. A terrace is available for guests at New superior apartment Sincic to use. The Euphrasian Basilica is 1.1 miles from the accommodation. The nearest airport is Pula Airport, 35 miles from the property. This property also has one of the top-rated locations in Poreč! Guests are happier about it compared to other properties in the area. 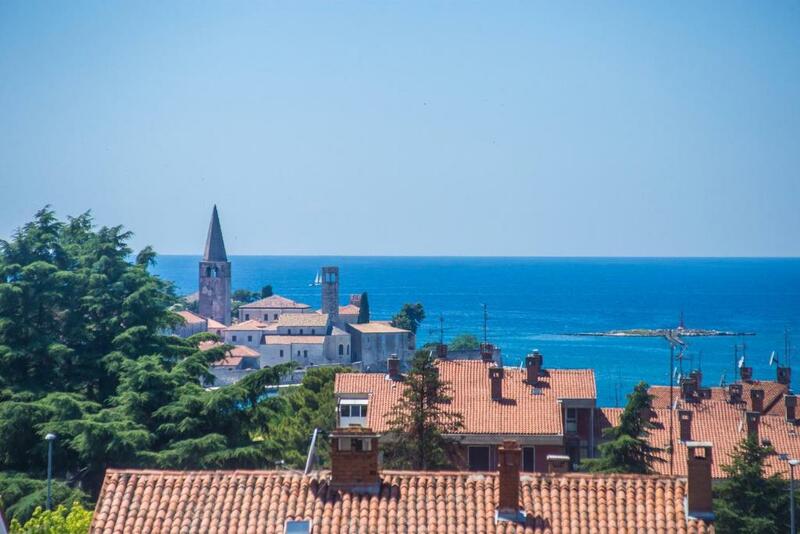 This property is also rated for the best value in Poreč! Guests are getting more for their money when compared to other properties in this city. 뀐 Located in the top-rated area in Poreč, this property has an excellent location score of 9.4! When would you like to stay at New superior apartment Sincic? Cast nam je ugostiti svakog pojedinog gosta dobre volje i uciniti mu vlastiti odmor nezaboravnim! U neposrednoj blizini apartmana se nalazi supermarket,bolnica,djecjr igraliste i nekolicina caffe barova i restorana! House Rules New superior apartment Sincic takes special requests – add in the next step! Please inform New superior apartment Sincic of your expected arrival time in advance. You can use the Special Requests box when booking, or contact the property directly using the contact details in your confirmation.